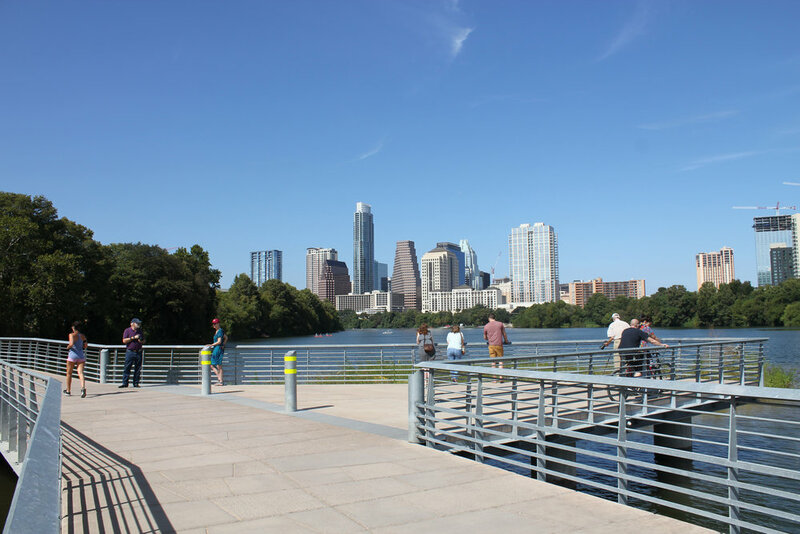 Austin Community Foundation donors are making a lasting impact in their community, funding efforts such as preserving the boardwalk at Lady Bird Lake. Photo courtesy of the Austin Community Foundation. Note: The following was a piece by Austin Community Foundation CEO Mike Nellis that appeared recently in the Austin Business Journal. Recently, a few vocal critics have taken to the national press to paint a one-sided and incomplete picture of donor-advised funds — a tool that provides millions of dollars annually to Austin nonprofits. The recent rise in popularity of donor-advised funds, especially of those offered by large financial institutions, has caused some to question the value and impact of such funds. This skepticism ignores the distinction between commercial donor-advised funds and those held by local community foundations like Austin Community Foundation. Donor-advised funds are a powerful philanthropic vehicle to address both urgent and long-term community needs. These funds, which can only be used for philanthropic purposes, allow donors to make a charitable contribution, receive an immediate tax benefit and recommend grants over time. Since 1977, Austin Community Foundation has partnered with individuals, families and corporations to make a positive impact in Central Texas, and donor-advised funds are just one of the charitable instruments that our partners use to create a better Austin for everyone. According to the Columbus Survey, an annual financial analysis of community foundations in the U.S., contributions from donors to the 100 largest community foundations totaled more than $8.9 billion in 2017, an increase of approximately $780 million compared to 2016. But the real story is the impressive amount of money granted out to nonprofits. The same community foundations paid out $1.1 billion more in grants in 2017 than in 2016. The Austin Community Foundation was granted more than $31 million in 2017 — a 33 percent increase over the prior year. In our 40-year history, we have granted out more than $300 million in Central Texas and beyond. Most importantly, over 80 percent of these grants go to nonprofits in Central Texas that are providing critical services to our neighbors. Donor-advised funds at the foundation have an average annual grant-making payout of 15 percent, three times higher than the minimum payout of private foundations. Many of these funds have been at the foundation for years, and have grown in size and impact through thoughtful and prudent investment. Austinites create donor-advised funds at the foundation because they want to work with an organization that invests in their community, is deeply rooted here and shares their commitment to improving the lives of residents now and far into the future. They trust our staff to provide valuable expertise, exemplary personal service and a knowledgeable presence in the community. • More than $500,000 invested in People’s Community Clinic in the past three decades. But the Austin Community Foundation is so much more than a collection of donor-advised funds. We complement the assets from donor-advised funds with an even larger pool of endowed funds, scholarships, programs and impact investments to serve the needs of our community for generations. The Austin Community Foundation is the catalyst for generosity in Austin and has been for the last 40 years. We bring together philanthropists, dollars and ideas to create the Austin where we all want to live. As our region balances on an inflection point of growth and a widening economic gap, we are committed more than ever to making our city a place where everyone can thrive. Gifts to the foundation and donor-advised funds support our ability to create unique problem-solving collaborations, engage in strategic grant making, and invest in the city we love. Mike Nellis is CEO of the Austin Community Foundation.